A wage subsidy program can put the perfect employee within your reach. These programs may offer your business incentives to hire individuals who need additional on-the-job training. 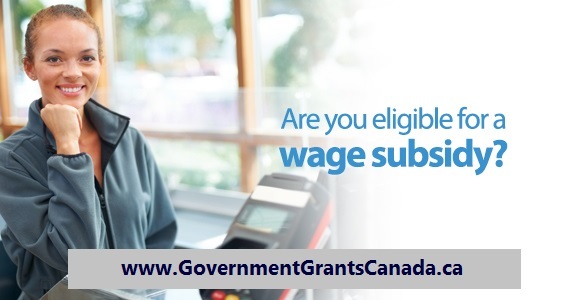 Full time wage subsidy programs are targeted at youth, recent post secondary graduates, and unemployed workers. Career Focus — Employers who hire recent post-secondary graduates for 6–12 months can receive wage subsidies of up to one third of the annual wage up to a maximum of $15,000. Human Resources and Skills Development Canada in co-operation with 10 other federal departments offer the program through the Youth Employment Strategy (YES). There is a similar program called Sectoral Career Focus that is offered in cooperation with the Sector Councils. Environmental Youth Corp — This program offers wage subsidies of up to $8,000 to hire unemployed or under-employed post-secondary graduates to work in an environmental field within Canada. There is also a subsidy of up to $12,000 for international environmental jobs. The programs are offered through the Canadian Council of Human Resources in the Environmental Industry in conjunction with Environment Canada and Human Resources and Skills Development Canada. Training For Work Programs — Alberta Employment and Immigration provide full and part-time training opportunities of 12 months or less to enable unemployed Albertans to learn new skills in order to improve their employability or to adapt to a changing labour market. Employers may be reimbursed for a portion of costs associated with the training or on the job experience costs per participant. Summer Temporary Employment Programs — High school and post-secondary youth 16 and older can be subsidized for new, full-time positions lasting from 6 weeks to 4 months. Employers must pay a wage appropriate to the position (at least minimum wage) and receive a subsidy of $7.00/hour. Alberta Employment and Immigration funds the program. Canada Summer Jobs Program — This program offers career related summer employment to high school and post-secondary youth aged 15–30. Wage subsidies of 50% are available to private and public sector employers. Jobs must offer 30–40 hours/week employment for 6–16 weeks. This is part of the Summer Work Experience Initiative of HRSDC, Canadian Heritage, Indian and Northern Affairs Canada, Industry Canada, and Parks Canada. Agricultural Processing Industry Employment Program — This program provides opportunities for career-related experience and skill training for students employed in Alberta's Processing Industry. This program reimburses the employer for one-third of the employee's monthly wage to a maximum of $500 per month. It is administered by Alberta Agriculture and Rural Development. Work Sharing Program — This program is designed to help employers and workers avert temporary layoffs. The employee, employer, and Employment Insurance Commission approve an agreement whereby the employee receives income support during periods where the workweek is reduced. Employers can retain trained employees, and the worker can receive E.I. benefits until work hours return to normal. Programs run from 6 to 26 weeks with a possible extension to 38 weeks and are offered by Human Resources and Skills Development Canada. Young Canada Works — This program provides wage subsidies to help secondary and post-secondary students access summer work experience in key cultural and heritage sectors; it also provides internships for college and university graduates who need some assistance to enhance their skills and career prospects. 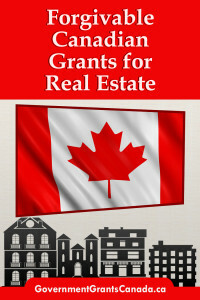 This program is administered by Heritage Canada. All wage subsidy programs for aboriginal people are targeted at youth ages 15 to 30 or recent post-secondary graduates. First Nations and Inuit Youth Work Experience Program — This program offers mentored work experience to unemployed or under-employed youth aged 15–30. Projects must be completed within 11 months. Private sector employers receive a subsidy of 50% of the applicable minimum wage, while non-profit sector employers receive 100% plus reimbursement for some employment-related costs. First Nations and Inuit Student Summer Employment Opportunities Program — This program is targeted at secondary and post-secondary students to gain short-term work experience and to earn wages for post-secondary studies. Full-time students between the ages of 15 and 30 who are returning to school are eligible. First Nations and Inuit governments and organizations may submit proposals offering a minimum of 80 hours of work at minimum wage or better. Private sector employers receive 50% wage support while non-profit sector employers receive 100%. Housing Internship Initiative for First Nations and Inuit Youth — This program is targeted at youth between the ages of15 and 30 who are currently unemployed. Eligible sponsors receive wage support to provide work experience and on-the-job training related to the housing industry for a minimum of 3 months. 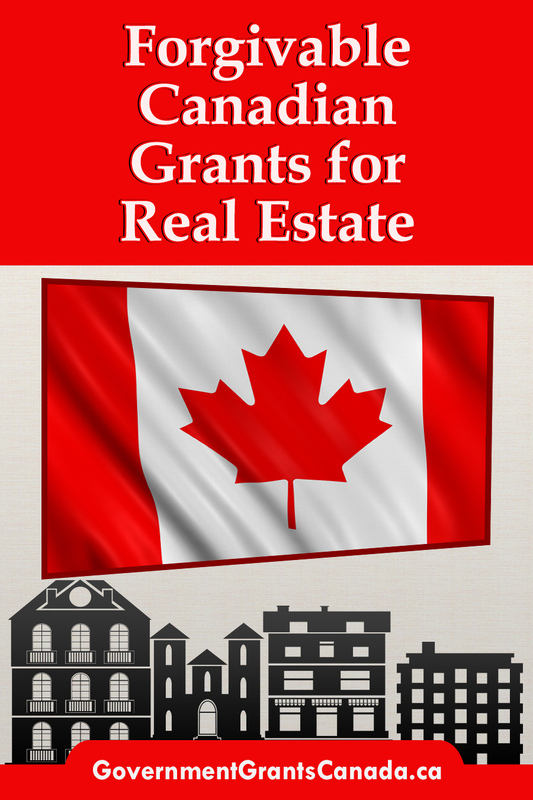 Projects must be located on a reserve or in an Inuit community. Canada Mortgage and Housing Corporation offers the program in conjunction with the Youth Employment Strategy of Human Resources and Skills Development Canada. Building Environmental Aboriginal Human Resources (BEAHR) — Located in Calgary, BEAHR has partnered with the Aboriginal HR Council of Canada on an initiative to create 6,000 aboriginal environmental positions in Canada over the next 15 years. BEAHR offers career awareness through a Speakers Program, work experience and training, and internships including an $12,000 wage subsidy to hire an Aboriginal post-secondary graduate. Ability Edge offers 6-, 9- and 12-month paid internships to graduates with disabilities to work for Canadian employers. The program is offered by Career Edge, a private sector, not-for-profit organization that provides work experience opportunities to new graduates in partnership with Human Resources Development Canada. Opportunities Fund is designed to help persons with disabilities develop skills or obtain employment. Employers trying to integrate disabled employees into their business may receive funding to cover wages or employment related costs. Programs run for up to 52 weeks (occasionally 72 weeks). Human Resources and Skills Development Canada sponsors the opportunity fund. The Training For Work Programs of Alberta Employment, Immigration & Industry (AHRE) can also be accessed to find and train disabled employees. In particular, the Job Skills Training program enables clients to learn new skills with on-the-job training. 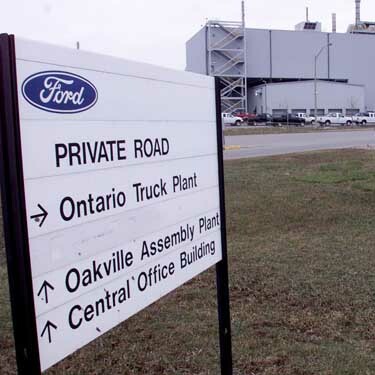 Ford assembly plant to receive $135 million in government funds.Ontario and the Canadian government will contribute $135 million to Ford Motor Co. for expansion of its Oakville, Ont., assembly plant. Canada’s Economic Action Plan is contributing $142.4 million over six years (starting in 2012) to construct and equip the Canadian High Arctic Research Station (CHARS) in Cambridge Bay, Nunavut. CHARS will be a world-class hub for science and technology in Canada's North. Construction of the Canadian High Arctic Research Station (CHARS) station and operation of the CHARS science and technology program will create jobs across the North and more specialized sectors in other parts of Canada. It also will stimulate business in Cambridge Bay and the local area. Northerners will acquire skills and experience that will help them get jobs in many industries—from mining to energy, to natural resource and wildlife management, and to health and life sciences. To learn more about CHARS construction and science program and how it is creating jobs and opportunities in the North check with Government of Canada website. After months of anticipation, The Information and Communications Technology Council (ICTC) has finally announced the re-launch of their popular small business grants for hiring program. The program, formerly known as ICTC Career Focus, has been rebranded ICTC CareerConnect, capping off a host of alterations aimed at giving small and medium-sized businesses greater access to the program while increasing the maximum funding amount for eligible applicants. The ICTC CareerConnect hiring grant will cover 50% of an eligible candidate's wage, up to $16,000, for any internship that is at least 3 months in length. All internships must end on, or before February 28, 2014. The main focus of this program continues to be the subsidizing of high demand careers for unemployed or underemployed graduates that will bring passion, energy, and skills their employer. ICTC CareerConnect will help employers meet their skill shortages while helping to create stronger ICT workers among Canada's youth. Seniors in the Town of Caledon will soon have new opportunities for social participation and inclusion, thanks to a $25,000 grant from the Government of Canada’s New Horizons for Seniors Program. Based on community engagement, the Town will use the grant money to develop an Older Adults Strategic Plan to determine existing services and the needs/provisions of future services. Areas of study will include housing, recreation, health, communication, transportation and any other area that may apply and formulate recommendations for the Plan. “As we prepare for the inevitable demographic shift in our population, the contributions of the New Horizons for Seniors Program will enable us to strengthen our community,” said Mayor Marolyn Morrison. “The Seniors’ Advisory Committee has been advocating for an Older Adults Strategic Plan for Caledon and we look forward to participating in this Project,” said Bob Crease, Chair of the Seniors Advisory Committee. The New Horizons for Seniors Program is a federal Grants and Contributions program that supports projects led or inspired by seniors who make a difference in the lives of others and in their communities. The funding initiative will enable seniors of Caledon to share their knowledge, skills and experiences with others as well as help the community to increase its capacity to address local issues. Scientists, engineers and students at universities across the country will receive significant support from the Government of Canada through the Discovery Grants, scholarships and fellowships. The Honourable Gary Goodyear, Minister of State (Science and Technology) announced 3,808 research awards that will advance research in a full range of fields in science, technology, engineering and mathematics." Discovery Grants is the Natural Sciences and Engineering Research Council of Canada's flagship program and one of Canada's largest sources of funding for basic research," said Minister Goodyear. "It provides researchers with the means and freedom to pursue their most promising ideas. Our government is proud to support 10,000 researchers who are creating the advances that will drive tomorrow's innovations." The awards totalling over $413 million comprise the 2013 competition results for Natural Sciences and Engineering Research Council of Canada (NSERC) Discovery Grants, Discovery Accelerator Supplements, Alexander Graham Bell Canada Graduate Scholarships, Postgraduate Scholarships, and the Postdoctoral Fellowships. Together they build a broad base of research capacity across the country. An integral component of the government's efforts to promote research and training excellence at Canadian universities, the Discovery Grants Program funds basic research in a multitude of scientific and engineering disciplines. "Through these programs, NSERC provides direct support to an exceptionally strong base of scientific and creative talent in every field of the natural sciences and engineering," said Janet Walden, Acting President of NSERC. "Our scholarships and fellowships programs help us recruit and retain the bright young minds that will lead the next generation of Canadian discoverers and innovators." Of the 3,808 awards announced today, 2,026 are Discovery Grant recipients. As well, 125 researchers will also receive a Discovery Accelerator Supplement. Valued at $120,000 over three years, Discovery Accelerator Supplements are awarded to researchers whose proposals explore high-risk, novel or potentially transformative concepts and lines of inquiry, and are likely to contribute to groundbreaking advances. Since 2006, the Government of Canada has provided nearly $9 billion in new funding for science, technology and the growth of innovative firms. Of this amount, over $6 billion is in support of science and technology activities at post-secondary institutions, including increases in the budget of the Discovery Grants program. This funding has helped to make Canada a world leader in post-secondary education research and to create the knowledge and the highly skilled workforce required for a more prosperous economy. For more information about NSERC Discovery Grants and Scholarships, please visit the NSERC Web site, where you will find videos, impact stories and frequently asked questions about the program. NSERC is a federal agency that helps make Canada a country of discoverers and innovators for all Canadians. The agency supports almost 30,000 post-secondary students and postdoctoral fellows in their advanced studies. NSERC promotes discovery by funding approximately 12,000 professors every year and fosters innovation by encouraging over 2,400 Canadian companies to participate and invest in post-secondary research projects. The Discovery Grants (DG) Program is NSERC's largest program and a key element of Canada's support for excellence in science and engineering research and training at Canadian universities. The DG Program gives researchers the freedom and flexibility to pursue the most promising research directions as they arise, encouraging creative and cutting-edge approaches and international collaborations. to provide a stimulating environment for research training. After having introduced enhancements to the Discovery Grants peer review system in 2009 and 2010 that created a more dynamic and competitive funding system and introduce a more flexible review structure, NSERC has launched the next five-year review of the Discovery Grants program. To date, we have surveyed Discovery Grants holders, applicants and highly qualified personnel and have sought input from scientific societies and university administrators across the country. Next steps will include a survey and interviews with Evaluation Group members and chairs, followed by a thorough analysis of data, statistics and bibliometric information. These activities will culminate with a meeting of an international panel of experts to review the findings and with a report on the evaluation in early 2014. The Discovery Accelerator Supplements (DAS) Program provides substantial and timely resources to a small group of researchers whose research proposals suggest and explore high-risk, novel or potentially transformative concepts and lines of inquiry, and are likely to have impact by contributing to groundbreaking advances in the area. In particular, for the purposes of the DAS Program, a superior research program is one that is highly rated in terms of originality and innovation. The timeliness of DAS support represents the potential for the researcher at this time to capitalize on an opportunity, such as a recent research breakthrough, a paradigm shift or a new strategy to tackle a scientific problem or research question. Each award is valued at $120,000 over three years ($40,000 annually) and provides recipients with additional resources to compete with the best in the world.